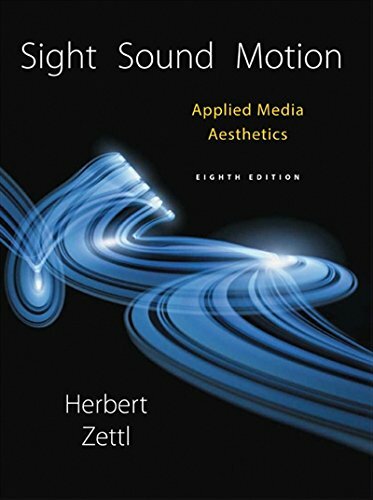 1305578902 -Delivering the most comprehensive coverage available, Herb Zettl’s SIGHT SOUND MOTION: APPLIED MEDIA AESTHETICS, 8e thoroughly describes the major aesthetic image elements — light and color, space, time-motion, and sound — as well as presents in-depth coverage on how they are creatively used in television and film. Real-world applications bring the text’s detailed coverage of aesthetic theory to life. It equips you to think critically about media aesthetics and apply them to production situations. Now presented in full color, the Eighth Edition’s engaging presentation is richly illustrated with strong visuals that often draw on traditional art forms, such as painting, sculpture, and dance.